Paulo Roberto Orlando…resides in Sao Paulo, Brazil during the offseason, with wife, Fabricia, and children, Maria Eduarda and Derek...when he debuted on April 9, 2015, he became the third Brazilian-born player to appear in a Major League game, joining Yan Gomes and Andre Rienzo. Split the season between Triple-A Omaha and the Royals, hitting .270 with 12 homers and 41 RBI with the Storm Chasers and hit .167 in 25 games for the Royals... Finished the season among the team leaders in runs (5th), hits (7th), doubles (5th), homers (2nd) and RBI (5th)...Hit .309 with six homers and 26 RBI in 48 games prior to the All-Star break…slugged .495 with a .835 OPS during that span. Played in just 39 games with the Royals, missing over two months of the season (May 18-July 21) after suffering a fractured shin at Omaha (AAA)…batted .198 (17-for-86) with three doubles, two homers in the Majors ... Made his third-straight Opening Day roster, but was optioned to Omaha on April 21 after hitting .149 (7-for-47) in his first 14 games…recalled on Sept. 1 and played in 25 of KC's final 30 contests, batting .256 (10-for-39) ... Homered in back-to-back games, Sept. 27-28 vs. Detroit, for the first time in his career ... Struck out 15 times in his first 47 at-bats (31.9 percent), but fanned just five times in his final 39 at-bats (12.8 percent) ... Played in 42 games at the minor league level, including 12 at Northwest Arkansas (AA) as part of a rehab assignment… hit a combined .306 (48-for-157) with 11 doubles, two homers, 22 RBI and a pair of steals ... Between the two stops, hit .329 (26-for-79) with five doubles, a homer and eight RBI in 22 games during the month of August. Played in 128 games, making 115 starts in the outfield (79 in right, 36 in center), in his first full season in the Majors. ..Earned Royals Majestic Player of the Month honors in May, batting .429 (27-for-63) with six doubles, a triple, a homer and nine RBI in the month…his May batting average tied for tops in the Majors with Detroit's Cameron Maybin (min. 50 plate appearances)...Batted .302, the only Royals player to hit above .300 with at least 400 at-bats…batted .317 (82-for-259) from the start of the season through July 31…hit .265 in Aug. (26-for-98), but rebounded to hit .315 (29-for-92) in September...Hit .329 (52-for-158) with two outs, ranking fourth in the AL...Hit .331 (78-for-236) at Kauffman Stadium…among AL hitters with at least 200 at bats at home, his average ranked seventh...Batted .308 (74-for-240) vs. AL Central foes…that included hitting .433 (29-for-67) vs. Minnesota, which was the 10th highest average against any one team in Royals history (min. 50 at-bats)...Recorded a career-best 14-game hitting streak from May 14-31…batted .444 (24-for-54) with five doubles, a triple, a homer and nine RBI during that stretch…his streak was tied for 11th longest in the AL during 2016...Had a career high four hits three times, June 18 vs. Detroit, Aug. 14 at Minnesota and Sept. 29 vs. Minnesota…his three four-hit contests tied for seventh most in the AL...Finished a double shy of hitting for the cycle on Aug. 14 at Target Field, going 4-for-5 with a season high three runs scored and three RBI...Matched a career high with four RBI on May 17 vs. Boston…became the first Royal to collect three hits and four RBI out of the No. 9 spot in the batting order since Irving Falu (July 1, 2012 at Minnesota)…also became the third Royal to collect a triple and a homer out of the bottom spot in the order. After nine full seasons in the minor leagues, Paulo made his first Opening Day roster and played in 86 games during his rookie campaign...Collected his first five triples in his first seven Major League games, becoming the first player since at least 1901 to do this according to Elias Sports Bureau...his six triples in 2015 were tied for sixth among Major League rookies...Became the first Royal since 2009 to collect two triples in the same game, April 12 at Angel Stadium...Omar Infante also recorded two triples on August 24, vs. Baltimore...Batted .296 (16-for-54) with a .333 on-base percentage when leading off an inning...batted .321 (25-for-78) with no outs...Recorded 14 of his 27 RBI in the seventh inning or later, while he slugged .462 (four doubles, three triples, four homers) after the sixth...Blasted the fifth walk-off grand slam in franchise history on July 7, beating Tampa Bay, 9-5...it was the first slam of Paulo's career and first by a Royal in 2015...Connected for his first Major League home run on May 26 in the Bronx, taking Adam Warren deep...Homered in the eighth inning in the final game before the All-Star break, giving KC an 11-10 win over Toronto. Paulo had his contract selected from Omaha (AAA) on November 3, placing him on the Royals' 40-man roster for the first time in his career...Enjoyed an All-Star season with the Storm Chasers, participating in the Triple-A All-Star Game as the starting center fielder for the Pacific Coast League...He was also named an Organization All-Star by MiLB.com...Tied for second in the PCL in games played and triples, also ranking fourth in hits and stolen bases…set career highs in at bats, hits, walks and steals...Played for Cardenales de Lara in the Venezuelan Winter League during the offseason, hitting .319 with 13 doubles, 8 homers and 40 RBI...Played in 64 games during his winter league, giving him 200 games played in the year. Paulo spent the entire season at Triple-A Omaha, playing in 92 games for the Storm Chasers...Hit .328 (22-for-67) against left-handed pitching...also batted .329 (25-for-76) with runners in scoring position...Committed just one error in 208 chances in the outfield (.995 fielding pct. )...recorded a career-best 13 outfield assists...Following the season, played for Cardenales de Lara in the Venezuelan Winter League, batting .276 with four homers and 20 RBI in 48 games...Competed for his home country, Brazil, in qualifying games for the 2013 World Baseball Classic. Paulo opened the campaign getting his first taste of Triple-A action with Omaha...finished the year playing 45games with Northwest Arkansas (AA) ... Despite playing just 45 games for the Naturals, his 10 triples were the third-most in the Texas League ... Hit .362 (21-for-58) with runners in scoring position while with Omaha, including .355 (11-for-31) with 2 outs. Enjoyed a career year in 2010, earning mid-season and postseason All-Star honors from the Texas League..ranked third in runs scored, fourth in stolen bases, fifth in average, eighth in slugging percentage, ninth in hits, and tied for ninth in triples. League in triples and at bats...also ranked third in runs, tied for third in games played and fifth in steals...Named the "Fastest Baserunner" in the White Sox organization prior to the 2007 and 2008 seasons by Baseball America...also tabbed the "Best Defensive Outfielder" prior to 2008. Led all White Sox farmhands in triples (10) in 2006. 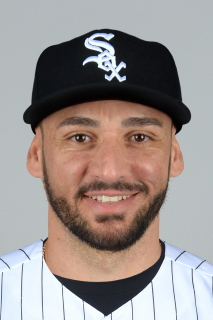 February 11, 2019 OF Paulo Orlando assigned to Oklahoma City Dodgers. January 3, 2019 Los Angeles Dodgers signed free agent OF Paulo Orlando to a minor league contract and invited him to spring training. December 15, 2018 Cardenales de Lara signed free agent RF Paulo Orlando. November 2, 2018 RF Paulo Orlando elected free agency. November 2, 2018 Kansas City Royals sent RF Paulo Orlando outright to Omaha Storm Chasers. October 2, 2018 Kansas City Royals recalled RF Paulo Orlando from Omaha Storm Chasers. July 24, 2018 Kansas City Royals optioned RF Paulo Orlando to Omaha Storm Chasers. July 13, 2018 Kansas City Royals recalled Paulo Orlando from Omaha Storm Chasers. June 23, 2018 Kansas City Royals optioned RF Paulo Orlando to Omaha Storm Chasers. June 7, 2018 Kansas City Royals recalled Paulo Orlando from Omaha Storm Chasers. April 24, 2018 Kansas City Royals optioned RF Paulo Orlando to Omaha Storm Chasers. September 1, 2017 Kansas City Royals recalled Paulo Orlando from Omaha Storm Chasers. August 22, 2017 Kansas City Royals optioned RF Paulo Orlando to Omaha Storm Chasers. August 12, 2017 Kansas City Royals sent RF Paulo Orlando on a rehab assignment to Omaha Storm Chasers. August 3, 2017 Kansas City Royals sent OF Paulo Orlando on a rehab assignment to Northwest Arkansas Naturals. July 21, 2017 Kansas City Royals sent OF Paulo Orlando on a rehab assignment to Northwest Arkansas Naturals. June 1, 2017 Kansas City Royals recalled RF Paulo Orlando from Omaha Storm Chasers. June 1, 2017 Paulo Orlando roster status changed by Kansas City Royals. May 20, 2017 Omaha Storm Chasers placed RF Paulo Orlando on the 7-day disabled list retroactive to May 18, 2017. April 21, 2017 Kansas City Royals optioned RF Paulo Orlando to Omaha Storm Chasers. November 22, 2016 OF Paulo Orlando assigned to Cardenales de Lara. November 26, 2015 OF Paulo Orlando assigned to Cardenales de Lara. August 9, 2015 Kansas City Royals recalled Paulo Orlando from Omaha Storm Chasers. July 29, 2015 Kansas City Royals optioned RF Paulo Orlando to Omaha Storm Chasers. July 6, 2015 Kansas City Royals recalled Paulo Orlando from Omaha Storm Chasers. May 30, 2015 Kansas City Royals optioned RF Paulo Orlando to Omaha Storm Chasers. November 3, 2014 Kansas City Royals selected the contract of Paulo Orlando from Omaha Storm Chasers. October 9, 2014 OF Paulo Orlando assigned to Cardenales de Lara. January 9, 2014 Kansas City Royals invited non-roster LF Paulo Orlando to spring training. October 9, 2013 CF Paulo Orlando assigned to Cardenales de Lara. June 18, 2013 Omaha Storm Chasers activated RF Paulo Orlando from the 7-day disabled list. June 7, 2013 Omaha Storm Chasers placed LF Paulo Orlando on the 7-day disabled list. May 9, 2013 Omaha Storm Chasers activated LF Paulo Orlando from the 7-day disabled list. March 15, 2013 OF Paulo Orlando assigned to Kansas City Royals. November 20, 2012 CF Paulo Orlando assigned to Cardenales de Lara. September 14, 2012 LF Paulo Orlando assigned to Omaha Storm Chasers from Northwest Arkansas Naturals. April 13, 2012 Paulo Orlando assigned to Northwest Arkansas Naturals from Burlington Royals. April 2, 2012 Paulo Orlando assigned to Burlington Royals from Northwest Arkansas Naturals. January 25, 2012 Kansas City Royals invited non-roster LF Paulo Orlando to spring training. July 14, 2011 Paulo Orlando assigned to Northwest Arkansas Naturals from Omaha Storm Chasers. March 31, 2011 Paulo Orlando assigned to Omaha Storm Chasers from Northwest Arkansas Naturals. March 7, 2011 OF Paulo Orlando assigned to Kansas City Royals. October 22, 2010 OF Paulo Orlando assigned to Senadores de San Juan. April 1, 2010 Paulo Orlando assigned to Northwest Arkansas Naturals from Wilmington Blue Rocks. March 20, 2010 LF Paulo Orlando assigned to Kansas City Royals. September 21, 2009 Paulo Orlando roster status changed by Wilmington Blue Rocks. August 31, 2009 Wilmington Blue Rocks placed LF Paulo Orlando on the temporarily inactive list.